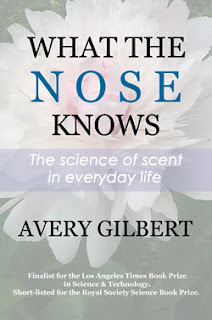 Looking for a Christmas gift for a scent- and/or science-minded person? You’re in luck! There’s still time to order a paperback copy of What the Nose Knows. Order through the Amazon link on this page and you’ll add a few coins to the FirstNerve Beer Fund—at no cost to yourself.